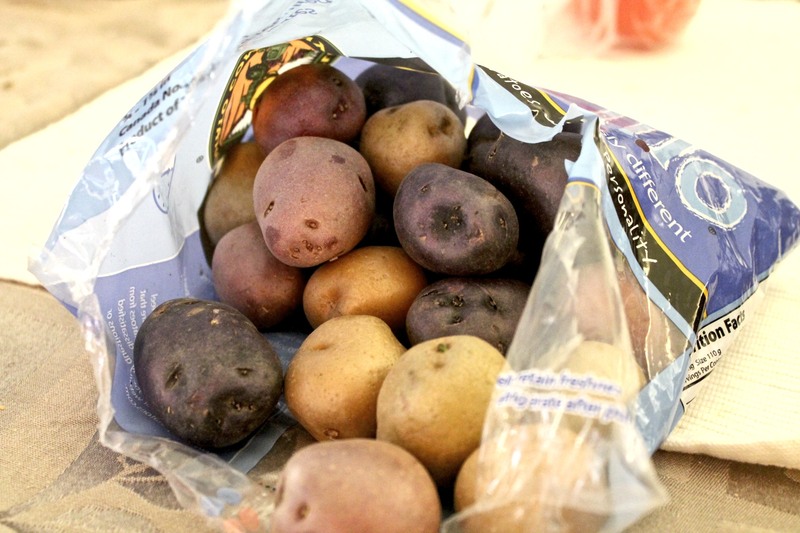 I used these colorful spuds for a Mexican-style dish perfect for vegetarians. Can you guess what I transformed them into? Yes! Potato tacos! Post coming very, very soon. Potato tacos?? I have no idea!!! but I’m LOVING your blog and it’s new background!! Did you shoot that? awesome!